Hattrick for ‘The Tank’ during the UK Dairy Expo! Tynevalley McCutchen Bambi VG-85-UK 2yr. A rare Bambi in Europe! Lillyhall Superstition Bria VG-88-UK 3yr. 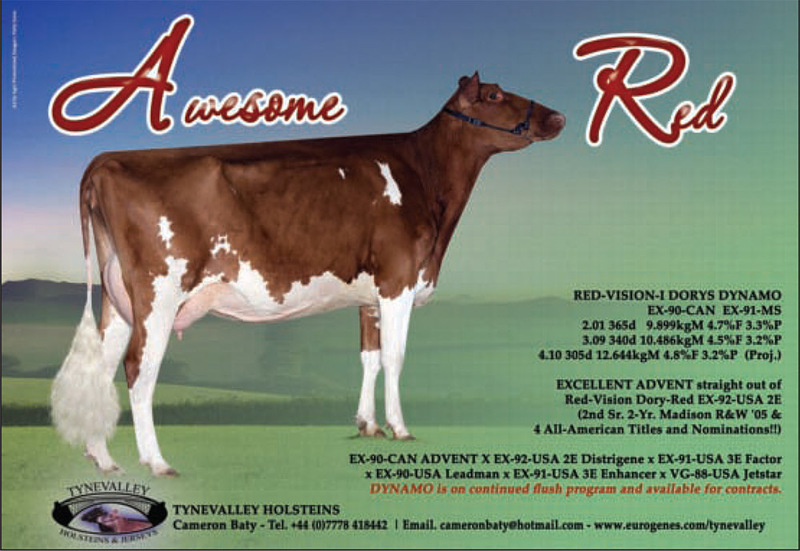 Tynevalley Kit Kat Raven-Red VG-86-UK 4yr. Tynevalley genetics is a small elite herd of the worlds best cow families, housed both in the UK and in North America. My aim is to use the best sires on the market, and blend them with phenomenally deep cow families, while excelling in the show ring, Tynevalley often has embryos and stock available so you to can tap into these genetics.